An epic version of this amazing theme with electric guitar. 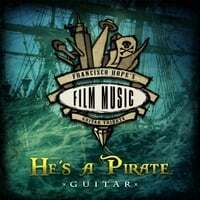 Film Music Guitar Tribute is about transforming the most iconic soundtrack themes into electric guitar rock versions. He's a Pirate has become an anthem in any ship, treasure cave or battle against a sea creature!...and it will be for a long, long time!